Why Do Young Athletes Fear Failure? When kids play to avoid mistakes, they’re struggling with fear of failure in which they often worry about disappointing others. In this case, the comparatively small player likely sees these larger, older kids and feels intimidated leading to freezing up. Most likely, he doesn’t want to make mistakes in front of them or his peers. He wants to be viewed on the same level as the older kids. It’s natural to be nervous when wanting to impress the larger, older kids. Like many kids, he may be afraid they’ll make fun of him. One way to help your sports children with these fears is to encourage them to focus on the moment, not what teammates might think. Help them focus on being great team players or strong defensive players. Help them move on after making mistakes by giving them a “flushing” sign, as the Positive Coaching Alliance suggests. To help your children get over fear of failure, remind them that making small mistakes is an essential part of growing and learning. Try to help them view these mistakes as a necessary part of the learning environment. Remind them now that actively trying to avoid mistakes only causes more mistakes because they are playing too safe. Playing safe hurts kids’ performance; they need to trust their abilities and play intuitively. You want your athletes to get into the flow of the game by focusing only on what’s relevant to execute their skills. Worrying about what others think is not part of what’s relevant to the game. Help Young Athletes Overcome Perfectionist Challenges in Sports! Nearly every athlete struggles with some form of perfectionism or fear of failure. Kids who look like stars in practice will often choke up or under perform during games or competition. Other athletes expect too much of themselves—then get frustrated when they don’t meet their high expectations. Or they’re extremely hard on themselves. In all cases, this causes young athletes to play it safe. They refuse to take the important risks that help them excel and improve their confidence. Suddenly, they’re held back by fear, indecision, and hesitation. Learn how to help young athletes overcome the difficult cycle of perfectionism, fear of failure and loss of confidence. You can stop guessing about what to do and say to your athlete! Our program: “Sports Parents’ Top Dilemma: Helping Young Athletes Kick Perfectionism and Fear of Failure,” will walk you through the problem and arm you with practical solutions you can start implementing today. You’ll start seeing changes in your young athlete’s confidence almost immediately. They, too, will have more fun and reap more rewards. A 23-page e-book that identifies the challenge, explains why it is harmful to young athletes (but also very common), and gives in-depth, step-by-step “sports psychology” tips for helping kids. Download this instantly! A 21-page kids’ sports psychology workbook that is intended to help your kids identify beliefs and expectations that are the root of perfectionism. 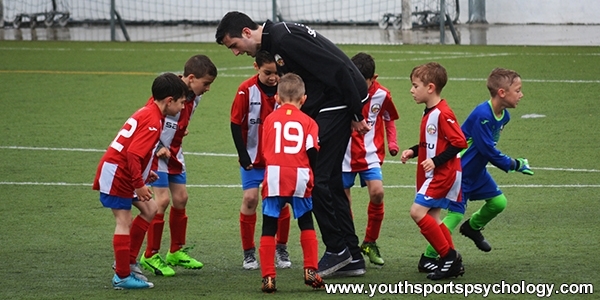 It will also help them develop strategies to play more freely with less fear in competition. Learn more about “Sports Parents’ Top Dilemma: Helping Young Athletes Kick Perfectionism and Fear of Failure” today!